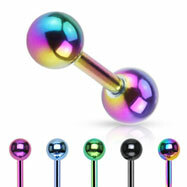 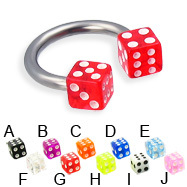 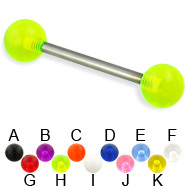 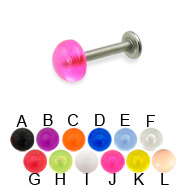 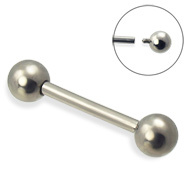 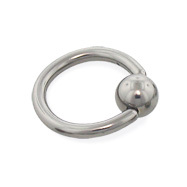 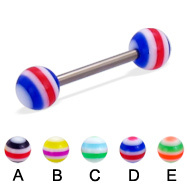 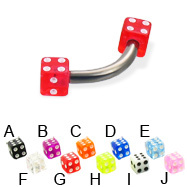 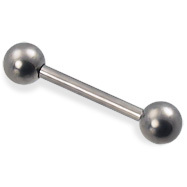 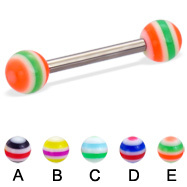 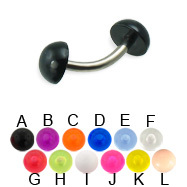 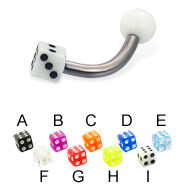 Gauge (Thickness): 14 (1.6mm) Cone size: 3/16" (5mm) Material: acrylic Material: surgical grade solid titanium Type: curved barbell Shown: 10mm curved barbell with 5mm ball. 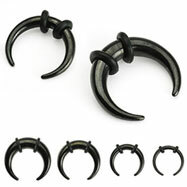 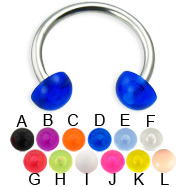 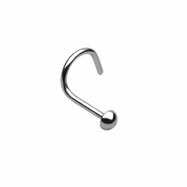 Gauge (Thickness): 14 (1.6mm) Cone size: 3/16" (5mm) Material: acrylic Material: surgical grade solid titanium Type: curved barbell Shown: 10mm curved barbell. 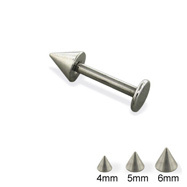 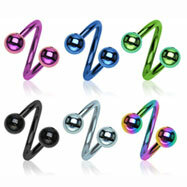 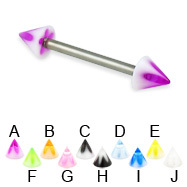 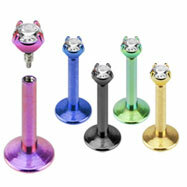 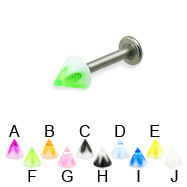 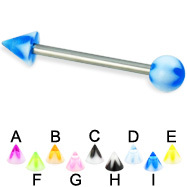 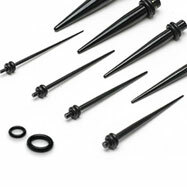 Gauge (Thickness): 12 (2.0mm) Cone size: 3/16" (5mm) Material: acrylic Material: surgical grade solid titanium Type: straight barbell Shown: 16mm straight barbell. 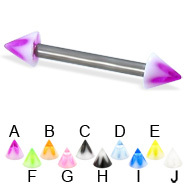 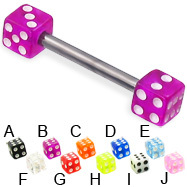 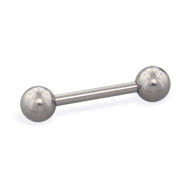 Gauge (Thickness): 14 (1.6mm) Cone size: 3/16" (5mm) Material: acrylic Material: surgical grade solid titanium Type: straight barbell Shown: 16mm straight barbell.